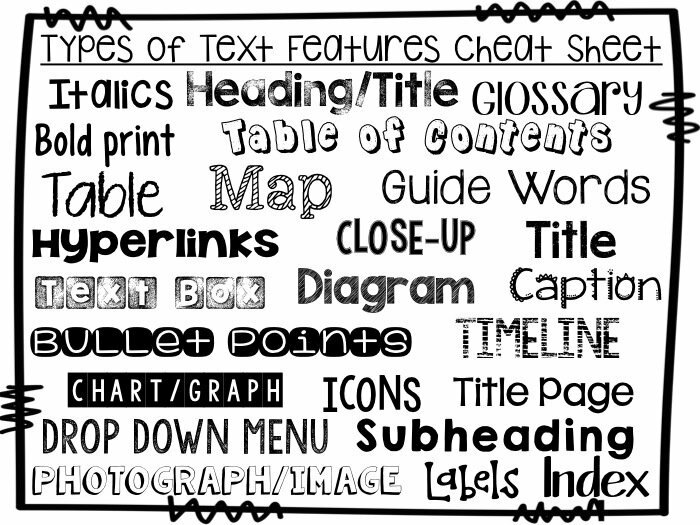 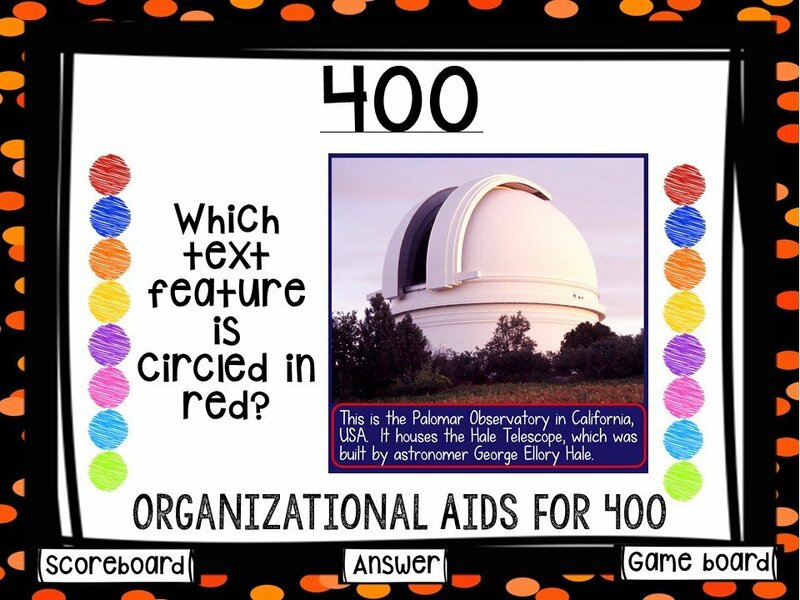 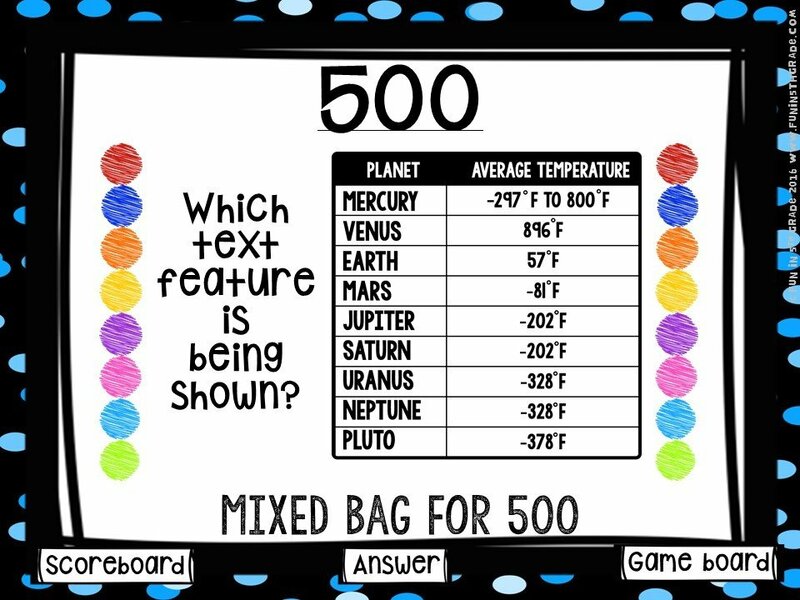 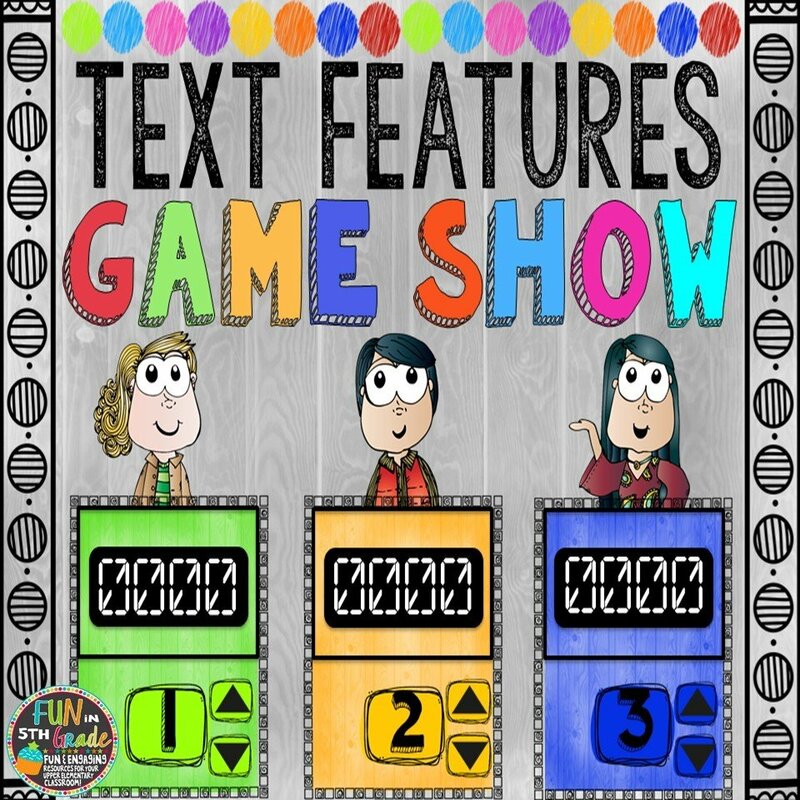 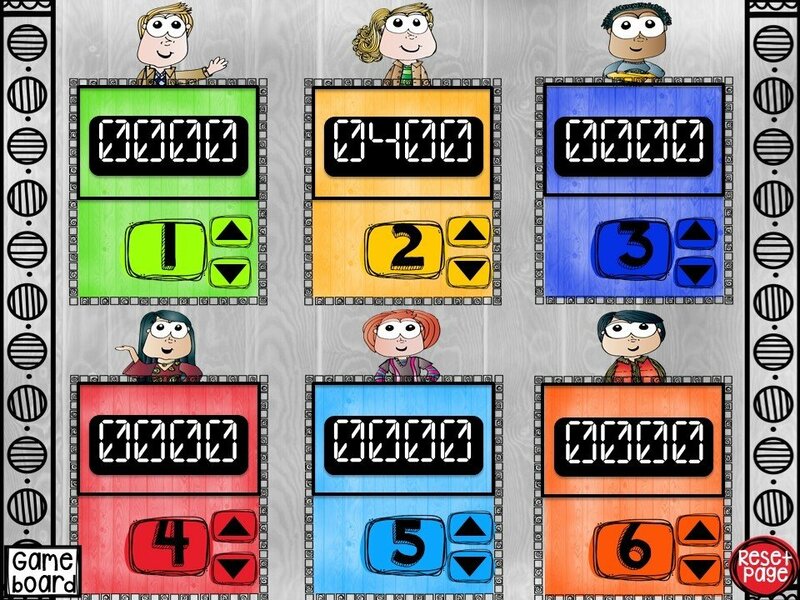 Nonfiction text features can be FUN for you to teach and for students to learn with this highly engaging Text Feature Game Show PowerPoint! 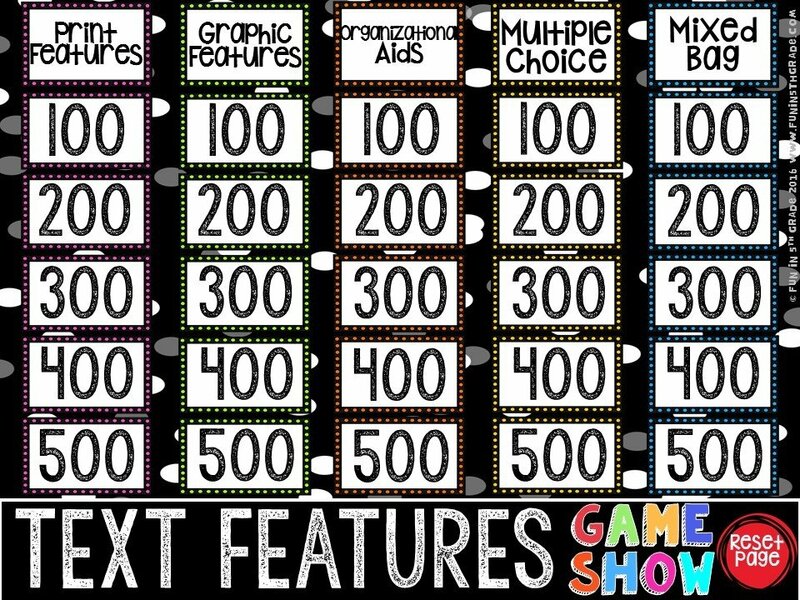 This game will make the skill of identifying text features something students are EXCITED to do! 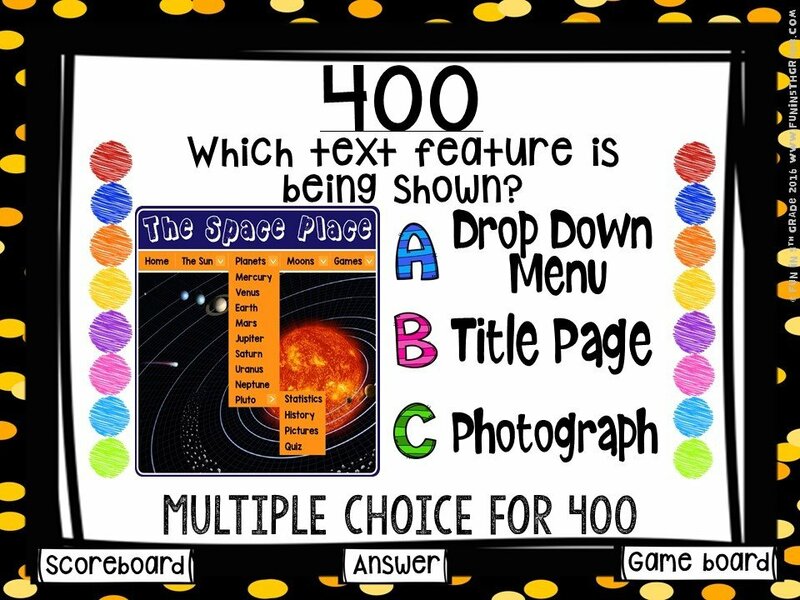 My class CHEERS when they see this game in the plans. 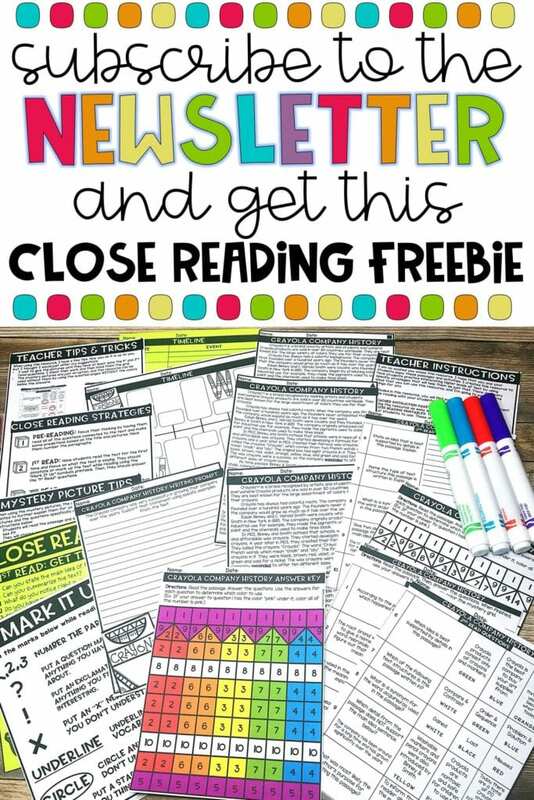 PERFECT for review!